HB 170 passed last night in Georgia’s House and Senate, and now awaits Gov. Deal’s signature. With a recent study by The Joint Study Committee on Critical Transportation Infrastructure Funding showing that an additional $1 billion at least is needed to merely maintain Georgia’s infrastructure, the approximately $900 million resulting from this bill is a disappointment, to say the least. The bill is also bad news for Atlanta’s electric vehicle market, as it draws an end for the $5000 tax credit that has propelled Atlanta to the #2 spot for number of EV’s in U.S. cities. Additionally, the bill marks a new $200 annual fee for EV drivers, $300 annually for commercial EV owners. 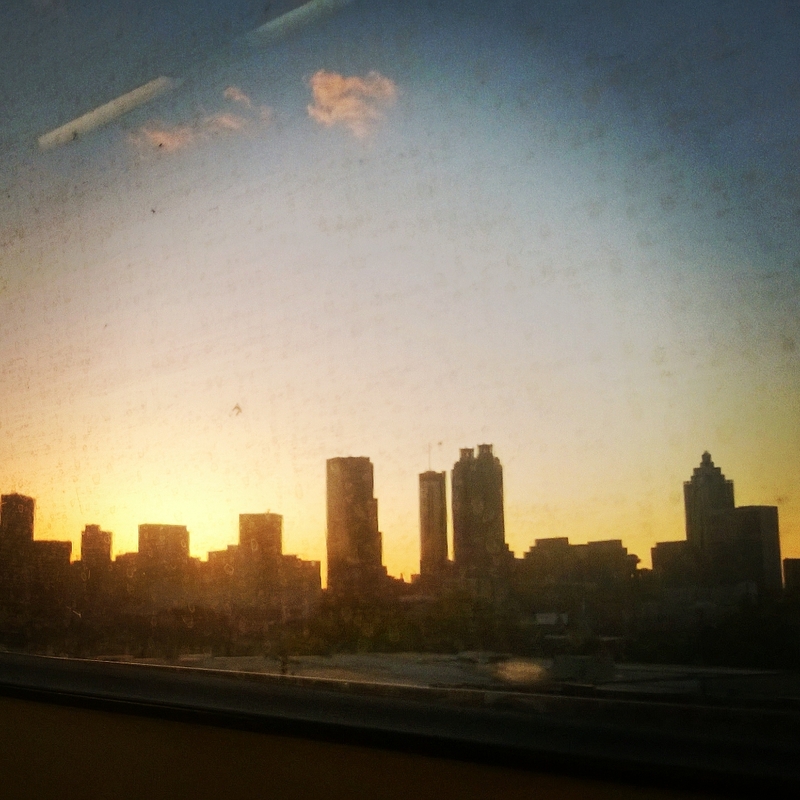 View of the Atlanta skyline from an Eastbound train. As far as transit funding, state assistance for the 128 transit agencies across the state is a long wait for a train don’t come. However, an amendment was added to HB 2013 allowing MARTA to spend its funding more flexible ways instead of splitting it between operating and capital expenses equally. It could also allow Fulton, DeKalb, and Clayton to increase MARTA’s sales tax support from one to one and a half percent. According to Blau, that “could give MARTA an estimated $200 million in annual funding.” Of course, the three counties will have to vote on that measure next year. What we’re left with is a transportation funding bill that won’t fully fund the basic needs of the state’s transportation and won’t make getting around Atlanta easier for visitors or locals. HB 170 is further evidence that if Georgia is going to improve its infrastructure and transportation trials, it won’t do it together. Instead, residents can expect to see more frequent local transportation referendums, such as the one just passed in the City of Atlanta. Buckle up, Georgia. It’s going to be a bumpy ride.